How The Deep State Sets Up The Ridiculing Of Nations. Raedwald is a big favourite of mine. Today he precisely lays out the horror of a globalised, very much for the few, future, well on the way to being achieved. 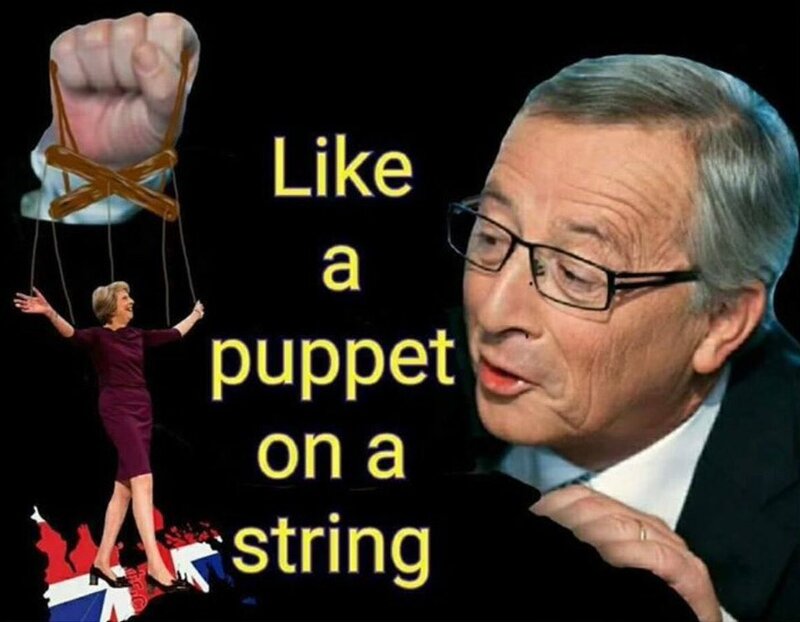 That the EUSSR and most political leaders of the other 27 countries are enslaved, emboldened and facilitate the corporate, gangster funded scum is plain for all who choose to see. This recent post of mine, like many of my mutterings, also was on the manner our, at least Western, destiny is being manipulated. However I would, today, wish to continue my theme of how we, via our staunch, deep state puppet and remainer PM, is happy for herself to represent our demeaning humiliation. That, as a proud Nation, we dared to defy the corporate racketeers and their nefarious chums needs significant punishment. This smug, bullying nastiness is visible in the manner our Civil Servant apparatchiks regard the rest of us with arrogant disdain. This but one hint of the deep state iceberg depth beneath the facade of our Establishment. Not only are these gross and treacherous descendants of Heath's hit men, back in the 1970s doing exactly as was done then, duplicity, today's blokes, mostly, are even less caring about our culture and heritage than their forebears. Bbetween our own corrupt, greedy crowd and the drunken sot presently running the EUSSR Commission humiliation is a favored weapon. They also have to have a front of house idiot to carry the burden of shame publicly. Plus that person has still to be prepared to follow the script of keeping us shackled forever to the deep state. May is so perfect for this role. Still, if a modicum of egotistical value, mega wealth via hubby's "connections" and the honour of being the last ever UK PM with a residual authority over the Nation, then handing out the boxes of custard tarts to the EU "negotiators", to throw back in her and our faces, appears to be acceptable to May. Indeed her somewhat useless poker face that shows her clearly lying, day in day out, still doesn't phase her. She has a job to do. Stop us from leaving. Of course she's not alone. Most of her Cabinet are fully behind her. Happy to take flecks of custard for the cause of the betrayal of democracy and the referendum result. Never mind the ever growing evidence of deep state, global corrupt and gangster run financing. Rudd and that gormless excuse of a politician, Hammond to name but two spring to mind. Give me the independence of Esther McVey, Boris, JRM, Frank Field and Lordy Lordy, Dennis Skinner, any day. Still, as this unnecessary saga unfolds, an Art.50 scrapping extension for decades looms and our demeaning, constant trooping over to our Godfathers in Brussels continues for years to come, we can have some hope that the masses stir, as in France, across the Western, decaying but wealthy for a few, Nations. We can dream that heritage, culture and decency will prevail. For certain the resurgent Russia and powerful Chinese presence in all of this won't do the globalists' ambition much good. However, in the short to medium term we just have to practice our own forelock tugging and genuflection to the deep state, big brother future, as our bid for freedom is taken from us. That's the plan and its coup de grace looms when the Art.50 is binned, extended. I suspect the dumping of the February recess is for that very purpose. Just you see. 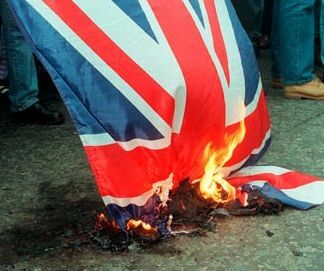 If I'm wrong and we do leave and properly, on the 29th of March, I shall rejoice at being wrong. If it's a WTO deal then I'll swallow some pride and buy champagne! Like I did in the Summer of 2016. You could be right and I did place a bet on him at the same time more in hope than anything but they did give me 20 to 1 on J.R.M. That will buy me a few pints of English real ale to celebrate with with if he get the job :-).